Would you benefit from all-round protection? With a little help from the experts at Kidde Safety you can! 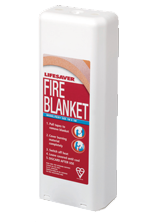 Every home needs protection against the flames and smoke of accidental house fires and toxic carbon monoxide (CO) leaks from badly fitted or poorly serviced fuel-burning appliances like central heating boilers and gas fires. 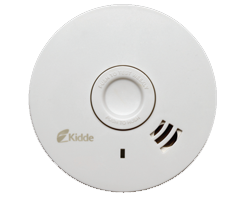 Kidde Safety, world leading experts in home fire safety, offers a wide range of affordable, easy-to-install products to help you be prepared in the event of a fire or a CO leak. If they’ve a gas boiler then your customer needs a carbon monoxide alarm – CO is a colourless tasteless, odourless gas and can be produced by any fuel-burning appliance if it’s badly fitted or poorly maintained. Compact and portable, battery or mains, these alarms audibly warn of a carbon monoxide leak in the home, a caravan, on a boat or in holiday accommodation. Fit one on every floor where there’s a fuel-burning appliance or gas flue. Many people are unaware that choking, blinding smoke can be the first sign of a more dangerous fire and can cause a fatality long before flames are detected. In their early stages, some small domestic fires can be safely extinguished before they spread – it can make the difference between an incident and a catastrophe. Big enough to be EN3-rated, this performance extinguisher can safely tackle most types of house and vehicle fires. However, never take unnecessary risks and ensure that your family is safe first. The majority of kitchen fires start when oil or fat catches fire – most people panic and throw water – exactly the wrong thing to do! of defence against fat-pan fire. ● For optimal protection, fit all Kidde Safety products as recommended by the manufacturer. ● For maximum effectiveness, recommend all products are tested regularly and renew batteries frequently. ● For total peace-of-mind, ensure all these Kidde Safety products are installed for real all-round protection.